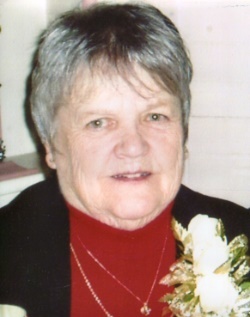 Obituary for Janice M (Smith) Duplessis | Boucher Funeral Home, Inc.
Janice M. “Jan” (Smith) Duplessis, 82, of Otter River, died peacefully Thursday, March 21, 2019 in Alliance Health at Baldwinville, surrounded by her family, following a brief illness. Born in Gardner on November 10, 1936, she was the daughter of the late Arthur J. and Edwidge A. (Desbois) Smith. Janice graduated from the former Templeton High School with the Class of 1955. She was employed in the housekeeping department of the Walter E. Fernald Developmental Center of Templeton for ten years, retiring in 2000. She was previously employed by Huhtala Oil Company of Templeton. Janice was a member of Holy Cross Church of E. Templeton. She was also a member of the Otter River Firemen’s Auxiliary and served on the Board of Directors for the Otter River Recreation Department. Janice enjoyed singing, gardening and was an avid sports fan. She loved caring for her family; and she treasured spending time with them. She also cherished time spent with her sisters, Shirley and Sally. She leaves her beloved husband of 63 years, Bertrand J. Duplessis of Otter River; sons, Drew Duplessis and his significant other, Nancy McMilleon of Otter River, Rick Duplessis of Ashburnham, Dean Duplessis and his wife Deborah of Georgia and Randy Duplessis of Florida; sisters, Shirley Murray of Winchendon and Sally Frisch of Otter River; grandchildren, Dena Whitney, Danielle Roche and Kayla McMilleon; great- grandchildren, Cooper and Cody Roche, and James Hayes; several nieces, nephews and cousins. A Funeral Mass will be held Thursday, March 28th at 10:00 a.m. in Holy Cross Church, 25 Lake Avenue, E. Templeton. Burial will be in Greenlawn Cemetery, Baldwinville at a later date. There are no calling hours. Family and friends are asked to report directly to church the morning of services. Memorial contributions may be made to St. Jude Children’s Research Center, 501 St. Jude Place, Memphis, TN 38105. Please reference in memory of Janice M. Duplessis.